Most pre-contact Europeans lived together in small villages. Because the continent was very crowded, their lives were ruled by strict hierarchies within the family and outside it to control resources. Europe was highly multi-ethnic, and most tribes were ruled by hereditary leaders who commanded the majority “commoners.” These groups were engaged in near constant warfare. Personally, my ultimate goal is returning the power to indigenous people to tell our own histories. We are deprived of control of our own history on so many levels: through government and private ownership of ancestral remains and objects, through the lack of Native voices in popular history, through the poor education given to indigenous youth, through the delegitimization of indigenous ways of telling history. The only place we have kept sovereignty over our own history is amongst ourselves, in the stories our grandparents tell us and we tell each other. For that reason, I tend towards the view of using archaeology and written records to illuminate the oral and written traditions of Native people, rather than the other way around as many academics do it. Because at the heart of it, indigenous history belongs to indigenous people–people not only deserve but need to know their own history. So my priority is returning it to them where it has been forcibly severed from them. This is a worthy goal, and I support it wholeheartedly. It’s not quite the same as what I’m doing with this blog, however. I am not Native myself, and the Native groups I discuss here are generally fairly satisfied with their knowledge of their own history (which is of course sometimes quite different from how white people see that same history) and often reluctant to share that knowledge with outsiders. My main focus is on illuminating the (pre)history of North America for all audiences who are unaware of it. This includes Natives themselves, of course, if they want to read what some white guy has to say about their past, but my expectation is that most of the people who read me will not be indigenous themselves. This difference in emphasis between me and Kai may stem in part from the different geographical areas we focus on; I focus on the West, where many Native groups have maintained major parts of their traditional culture quite robustly in the face of Euroamerican colonization, whereas Kai seems to focus on the East, where colonization has been a much more overwhelming force for Native communities and traditional culture has been maintained in more subtle ways. 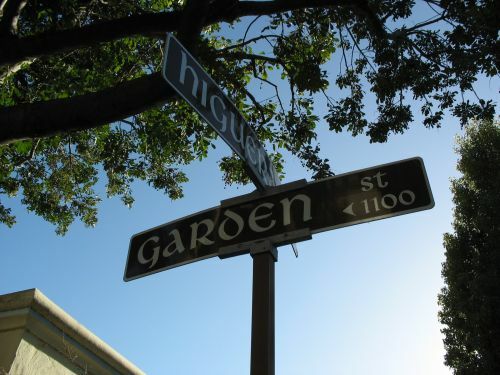 These are very different situations, and they lead to different issues that need to be addressed. In any case, I highly recommend Kai’s blog to anyone who likes mine. It focuses mainly on a different part of the continent, but discusses it in a very similar way, and also addresses more general issues of interest to anyone concerned with Native America. The name “Cahokia” comes from one of the constituent tribes of the Illinois Confederacy, a group of several semi-autonomous “tribes” or “villages” that occupied much of what is now the state of Illinois and parts of some of the surrounding states in the seventeenth and eighteenth centuries. Staunch allies of the French throughout most of the colonial period, the Illinois were among the hardest-hit by the various forces buffeting Native American groups in the wake of European contact, and they ended up suffering one of the most dramatic demographic collapses of the tribes we have substantial information on. Emily Blasingham, who did a detailed ethnohistoric study of Illinois population decline in the 1950s, concluded that the total population of the Confederacy at the time of French contact in the 1670s was around 10,000, which by 1800 had dwindled all the way to a mere 500 people. 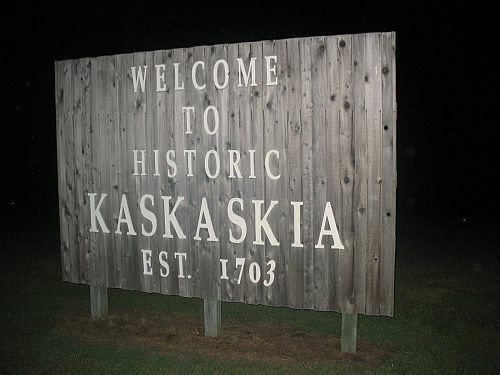 The descendants of the remaining Illinois ended up in northeastern Oklahoma, where they are now known as the Peoria (originally the name of one of the constituent tribes of the Confederacy along with the Cahokia, Kaskaskia, and others). Most of the member tribes of the Confederacy, including the Cahokia and Peoria, spoke dialects of the Miami-Illinois language, part of the widespread Algonquian language family. One possible exception is the poorly known Michigamea, who joined the Confederacy in the early eighteenth century and had apparently lived before that somewhere further down the Mississippi River. While it has generally been assumed that the Michigamea also spoke Miami-Illinois, there is some evidence that they may actually have spoken a different language, possibly belonging to the Siouan family, before they joined the Confederacy. Be that as it may, the Illinois Confederacy as a whole was clearly primarily a group of tribes who lived near each other in the seventeenth century and spoke the same language. The various Illinois groups moved around quite a lot during the colonial period in response to various threats and opportunities, but they had two main focuses of settlement: the upper Illinois River valley, especially around Starved Rock and Peoria Lake, and the American Bottom, along the Mississippi River between the mouths of the Illinois and Kaskaskia Rivers. 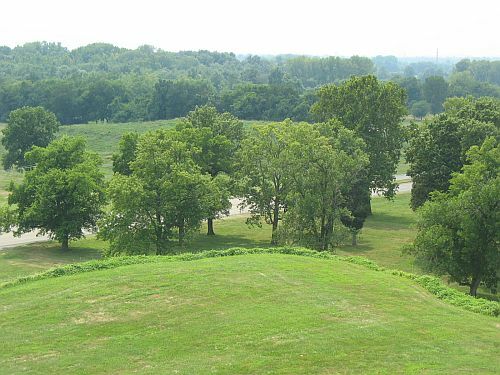 The Cahokias consistently lived in the American Bottom for most of their recorded history, and gave their name to both the French settlement of Cahokia, which still exists as the town of Cahokia, Illinois, with its famous courthouse, and the nearby Cahokia Mounds. The question of who built the Cahokia Mounds, and even if they were artificial at all, was hotly debated in the early history of American archaeology. Even after the early period of wild speculation in the nineteenth century had given way to a more systematic, realistic approach in the early twentieth, the answer remained unclear. 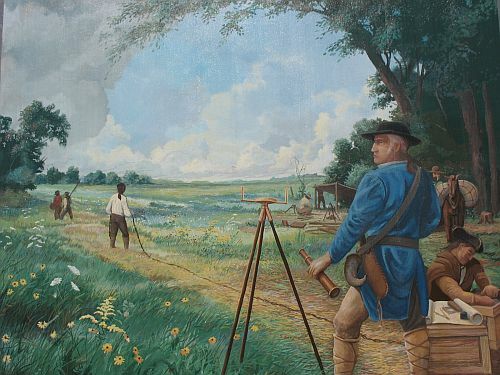 In 1944 Donald Wray and Hale Smith, two archaeologists from the University of Chicago, proposed an answer with at least a surface degree of elegance and plausibility, namely, that Cahokia and other Mississippian sites in the region were the work of the Illinois Confederacy. Wray and Smith had two main lines of evidence for this proposal: distributional and chronological. They noted, first, that the remains of what was then called the “Middle Mississippi Culture” corresponded pretty closely to the areas known to have been occupied by the Illinois in colonial times. Recall that the main areas of Illinois settlement were in the American Bottom and along the upper Illinois River, both areas that do indeed have substantial Mississippian remains. They also note that the general uniformity of Mississippian material culture suggests substantial social and political ties among the groups living in various parts of the region, such as would have been the case with a Confederacy such as that of the Illinois. Note that they don’t point to any specific material culture similarities between Mississippian sites and known Illinois sites, presumably because none of the latter were known at the time. Their chronological argument takes a somewhat different tack. They note that other archaeologists had recently proposed that Mississippian societies dated to the sixteenth and seventeenth centuries, based on the lack of mention of some of the major mound sites by the early European explorers. 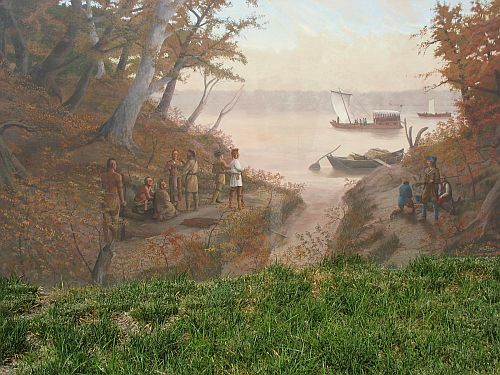 Since the only occupants of the Mississippian parts of Illinois during this period are known to have been the Illinois groups, it follows that they must have been the Mississippians. They also go into some detail about certain sites showing contact between the Mississippians and the Oneota culture found primarily further north and tentatively identified with the speakers of Chiwere Siouan languages (i.e., Ioway, Oto, and Missouria). Since many Oneota sites have European trade goods and therefore clearly date to the contact period, Wray and Smith conclude that sites such as some in northern Illinois showing both Oneota and Mississippian traits support their chronological reconstruction. They also note the contacts between the American Bottom Mississippian sites and the southeast Missouri/northeast Arkansas area occupied historically by the Siouan-speaking Quapaw and connect this on somewhat shaky grounds to the Oneota as well. We now know that this is all wrong, of course. Wray and Smith were working at a time when there was no way to get absolute dates for archaeological sites in the Midwest, and their chronological assumptions turned out to be totally unfounded when radiocarbon dating was invented a few years later and it turned out that the Mississippian sites were much older than the Illinois Confederacy and that in between there was a period when the American Bottom was part of the “Vacant Quarter” abandoned by the Mississippians. 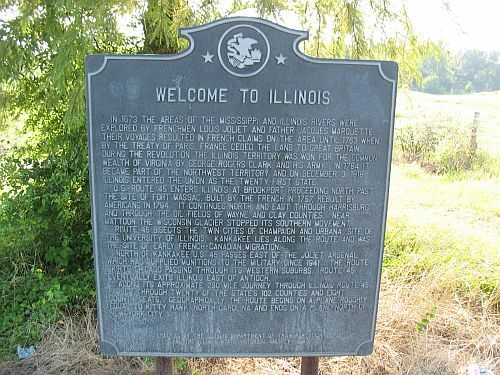 While it’s not impossible that some of the ancestors of the people who would later become the Illinois were involved in some Mississippian societies, there is no particular reason to connect them to the American Bottom specifically, and there is certainly lots of evidence indicating that the Illinois Confederacy itself came many centuries after the Mississippian phenomenon and had no direct connection to it. As it turns out, Wedel was more or less completely right on every point he criticized Wray and Smith about, and the much more complete and accurate picture we now have of Midwestern archaeology has vindicated him. The point is not that Wray and Smith were wrong so much as that they were sloppy; it’s always going to be the case that even many very reasonable interpretations based on the best data available at one time will turn out to be wrong when better data appears, but not all interpretations at any given point in time are necessarily based on the best data or the most reasonable assumptions. This little dispute provides a particularly clear example of this general point. 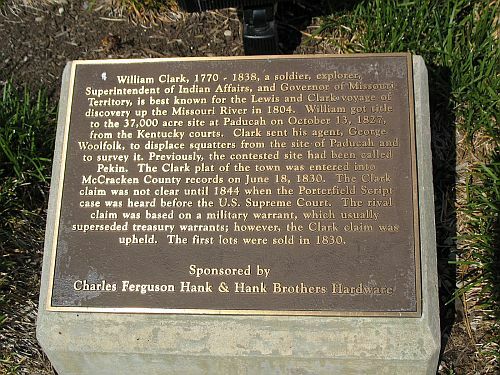 In 1827 William Clark, who had attained national fame as co-leader of the Lewis and Clark Expedition more than 20 years earlier and had gone on to a successful career as an Indian Agent and governor of the Missouri Territory, obtained title to 37,000 acres in western Kentucky along the Ohio River that had been part of a grant to his late brother, George Rogers Clark, for service in the Revolutionary War. 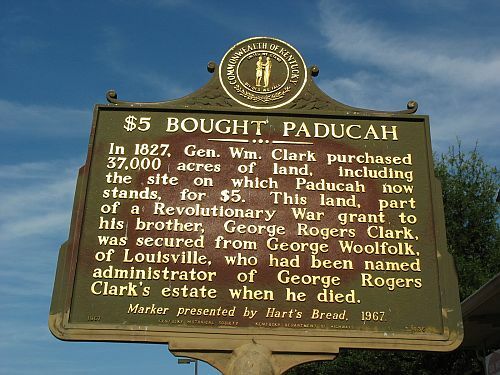 William Clark immediately went about evicting the handful of settlers on the site, which was then called Pekin, and surveying it as a new town which he named Paducah. 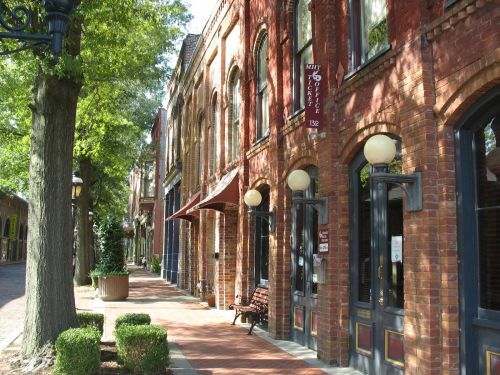 Paducah would go on to become one of the most important towns in the region, and over the years a local tradition grew up attributing the town’s name to a “Chief Paduke” of a local tribe. A letter Clark wrote to his son, however, appears to clearly show that this is not correct, and that Clark instead chose the name to honor a tribe he knew as the “Padoucas” (consistent spelling was not one of Clark’s strong points) that had once been large but had been much reduced since European contact. This condition applies to virtually all tribes in the Americas, of course, but the name is definitely not of any tribe in western Kentucky, which was occupied by the Chickasaw until 1819, when Andrew Jackson negotiated the cession of this area, known as the “Jackson Purchase,” opening it up for settlement and speculation by people like Clark. Who then were these Padoucas, and how did Clark know of them? 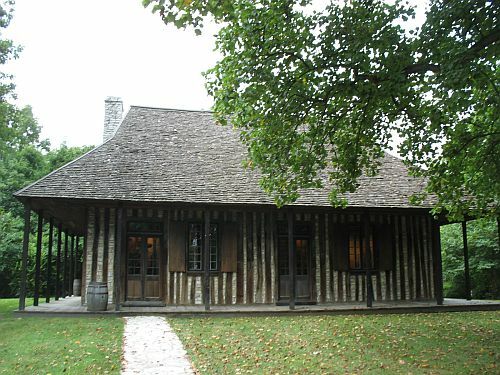 Presumably he learned of them either during the Lewis and Clark expedition or later, when he was serving as a frontier official in Missouri, so the place to look is well to the west of Kentucky. 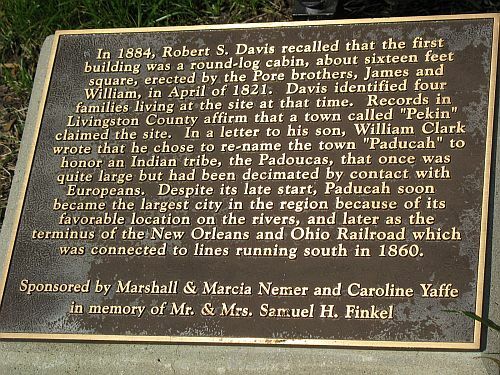 And, indeed, a tribe known as the Padoucas (under various spellings) appears in records from French Louisiana starting with the early explorers of the late seventeenth century and continuing down to Clark’s day. 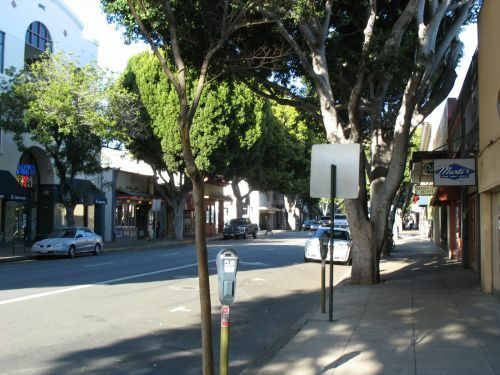 These reports refer to the Padouca as living somewhere to the west of the Mississippi and Missouri valleys, which is to say, on the Great Plains. The Spanish in New Mexico and Texas, on the other hand, were much closer to the Plains, and between their occasional forays onto them and their close diplomatic contacts with various Plains tribes they had much better information than the French about who was out there and what they were doing. As a result, we can track developments on the Southern Plains in the eighteenth century quite clearly through Spanish documents, and as it turns out there was a lot going on out there. 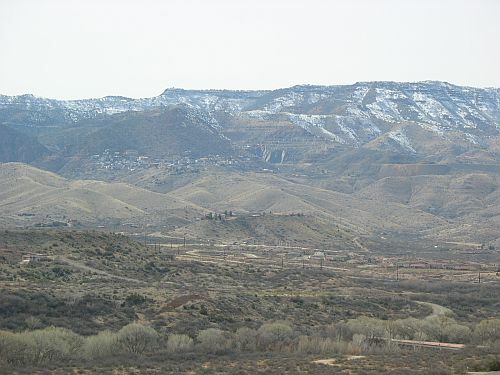 At the time the Spanish entered the Southwest in the sixteenth century, the Plains were occupied by various groups of hunter-gatherers whom the early Spanish explorers called “Querechos.” After the establishment of a permanent colony in New Mexico in 1598, the Spanish began consistently referring to these groups as “Apaches” (the term itself is of obscure origin, perhaps coming from one of the Pueblo languages), with specific politically autonomous subgroups indicated by modifiers such as “Lipan,” “Jicarilla,” and “Faraón.” There were Apaches to the west of New Mexico as well, including the Navajos. Relations among the Spanish, the Pueblos, and these Apaches varied, with the Apaches at times raiding both the Pueblos and the Spanish villages, and at other times allying with one or both of the more settled groups for various purposes. During the Pueblo Revolt of 1680, some Apache groups joined with the Pueblos to kick out the Spanish, but after the Spanish Reconquest in 1692 Apache raids on both the Pueblos and the Spanish continued intermittently. By the early eighteenth century, however, the Spanish had allied with some of the more distant Apaches on the Plains for mutual protection against the French and their allied Indians in the Missouri Valley. By the middle of the eighteenth century, however, this picture had been totally changed by the movement of a new people onto the Southern Plains. These were the Comanches, who had broken off from the closely related Shoshones in the Rocky Mountains and headed out onto the Plains, where they acquired horses and became the most aggressive and successful military power that region had yet seen. They swiftly pushed the Apaches out of the way and became the main power on the Southern Plains, raiding New Mexico with a ferocity unprecedented in earlier times. The threat of Comanche raids kept New Mexico Hispanics from expanding significantly east of the Rio Grande Valley for over a century, and it likely also led the Pueblos to more completely accept Spanish rule in exchange for the level of protection provided by Spanish arms. At first the Spanish attempted to defend their Apache allies on the Plains by fighting the Comanches, but this approach met with limited success and only encouraged increased Comanche attacks on Hispanic and Pueblo settlements, so in the late eighteenth century Governor Juan Bautista de Anza decided to switch sides, sign a peace treaty with the Comanches, and agree to assist them in their wars on the Apaches. This general pattern, of the Spanish allied with the Comanches against the Apaches, endured until the Americans conquered New Mexico in the 1840s. 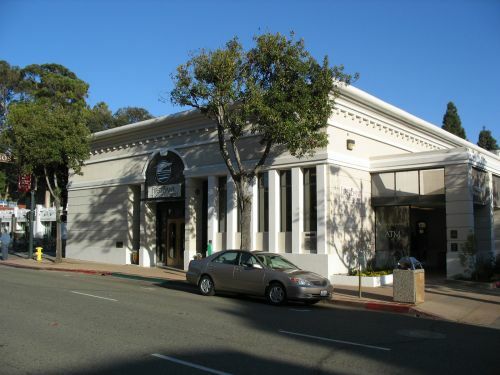 With the rise of American ethnography in the late nineteenth century, American anthropologists began to look back at these documents and try to connect them to the ethnographic data on contemporary tribes. They found that many of the tribes from the Plains and surrounding areas used terms similar to “Padouca” to refer to the Comanches, and many simply assumed from this that the French had always used the term to refer to the Comanches as well. This became something of the received wisdom by the early twentieth century, but in 1920 the anthropologist George Bird Grinnell published an article taking another look at the issue taking into account the Spanish and early French sources. 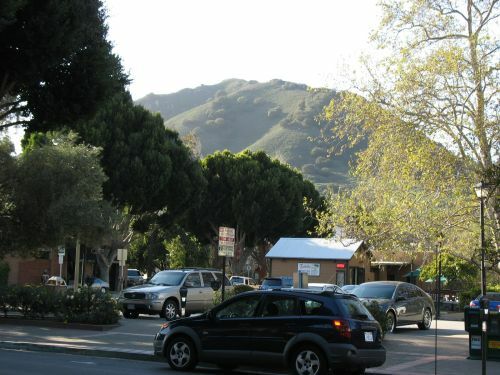 From these Grinnell concluded that the term had instead referred to the Apaches, whom the Spanish sources clearly showed were the only tribe that the earliest French sources from the seventeenth century could plausibly have been referring to, since the Comanches didn’t enter the area in strength until well into the eighteenth century. Furthermore, there is one incident narrated by both Spanish and French sources that seems to clinch the case. In 1720 a Spanish expedition led by Pedro de Villasur was sent out onto the Plains to combat French influence. The expedition included some Jicarilla Apaches as guides. Upon reaching what is now Nebraska, the expedition was attacked and soundly defeated by a group of Pawnees, possibly accompanied by French traders. The important thing about this incident for the Padouca question is that Villasur’s guides are consistently referred to as Apaches in Spanish accounts but as Padoucas in French accounts. Grinnell concludes, quite reasonably, that this shows that at least in the 1720s the “Padoucas” in French sources were Apache. However, Grinnell’s article doesn’t address the evidence from more recent ethnography, and in a subsequent comment Truman Michelson points out that among the Fox (Mesquakie) tribe the term for “Comanche” is something closely approximating “Padouca.” He declines to discuss Grinnell’s article further, but his tone clearly shows that he considers this information more dispositive than Grinnell’s historical sources. 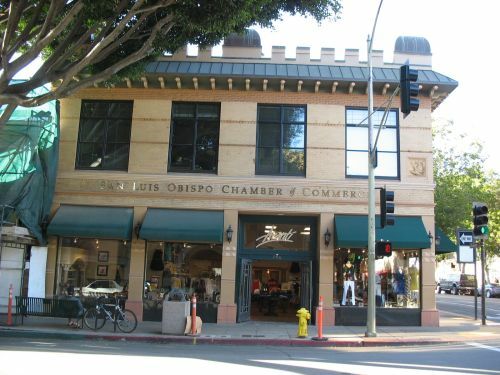 And, indeed, any full solution to the problem must account for the fact that the recent ethnographic data clearly shows that the term was used in the nineteenth century by many tribes for the Comanches. A solution tying all this evidence together didn’t appear until thirty years later, when Frank Secoy published an article bringing in more evidence, especially from French maps, and considering both the documentary and ethnographic evidence. He concludes from this that both sides were both right and wrong in part. Specifically, Grinnell was right that in the earliest French sources “Padouca” must mean Apache, but Michelson and others were right that later on it meant Comanche for both the French and the tribes in the Mississippi and Missouri Valleys. The switch came in the middle of the eighteenth century when the Comanches took over those parts of the Plains that had formerly been Apache. Since the French only ventured out into that area occasionally, they were not very aware of this process as it was occurring, and later expeditions encountering the Comanches where their maps (put together by cartographers in France grappling with disparate information from French and Spanish sources) showed the “Padoucas” to be naturally assumed that the two groups were the same, not realizing that the expeditions from decades earlier had actually used the term to refer to a different people who had been there at the time but were now elsewhere. Furthermore, Secoy notes that the etymology of the term itself gives a clue to how its meaning might have changed for the Indians who used it. It seems to come from a verb root common throughout the Siouan language family with the meaning “to pierce.” The rough meaning of “Padouca” in whichever Siouan language the French got it from would then be “piercer,” which Secoy, drawing on his own previous research on warfare on the Plains, links to the use by Plains groups in the early historic period of large piercing lances, which they had adopted during what he calls the “post-horse–pre-gun” period of Plains warfare. That is, since the Plains tribes acquired horses before they acquired guns, there was a period when the key advantage of having a horse was in allowing a warrior to get very close to his enemy very quickly, and a thrusting lance was a very useful weapon in this context that would have made a major impression (so to speak) on the horse-less groups that encountered these groups. Since the first groups like this that the Siouan tribes of the Missouri Valley encountered would have been Apaches, the name “Padouca” or “Piercers” would make sense for them to use and to pass on to the French. Since the Comanches entered the Plains during this same technological period and used the same sorts of lances, however, the name would have made equal sense for them and could have easily been transferred once they showed up in the eighteenth century. Indeed, the new horse-based Plains culture would have made both groups seem pretty alien to the Siouans, and they may even have used “Padouca” to refer to Plains groups in general rather than to specific cultural or political entities. Apaches and Comanches speak unrelated languages, but both are also unrelated to Siouan and represented the furthest east representatives of both their languages families as well, so it’s possible that the Siouans couldn’t easily tell them apart. Secoy notes that the French use of “Padouca,” based on outdated information, for the Comanches could also have influenced Siouan usage. As they traversed the country completely they came into contact with both the colonial French and the Spanish sources of information, which were, of course, still divergent. There were several possible conclusions which could be drawn from such a situation and the American explorers, collectively, arrived at all of them, the differences being caused by the varying specific conditions under which a given explorer obtained his information. Padoucas—English name, French nickname Padoo, Padoucies is their own tongue. Live in villages on heads of Platte and Arkansas, trade with New Mexico; many horses. Yet almost immediately Clark says he could get no definite information about this once powerful nation, and quotes French writers. Speaks of a fork of the Platte bearing the name of the tribe and conjectures that the nation had broken up and become individual small tribes. It’s not clear how much, if any, of this is quoted rather than paraphrased by Grinnell. Nevertheless, the bit about the Padouca being a “once powerful nation” is presumably the source of the information on them in Clark’s later letter to his son. The fact that Clark couldn’t get much information on them from his current sources and had to rely on (highly outdated) French written sources is one possible reason to think that the group referred to here is Apache rather than Comanche, and other references in the Expedition’s journals to a Padouca-speaking group called the “Cataka” have often been thought to refer to the Na’isha or “Kiowa Apaches,” including by Secoy. Still, if the French by this time were using the term “Padouca” to refer to the Comanches, and Lewis and Clark were getting their information from French informants, why would they call the Apaches “Padoucas”? Neither Grinnell nor Secoy addresses this question, but I think the answer lies in where Lewis and Clark where when they got this information. Remember, all that stuff about the Comanches pushing out the Apaches and the French inadvertently switching the meaning of the word “Padouca” is about the Southern Plains. Lewis and Clark, however, were traveling across the Northern Plains, following the Missouri River. The Mandan villages where they compiled the list of tribes including the Padoucas were in what is now North Dakota. The Comanches never came close to this part of the Plains, which had a rather different cultural sequence in the historic period. Part of the difference, I suspect, is that the French traders and their Siouan trading partners on the Upper Missouri continued to use the term “Padouca” to refer to Athapaskan groups to the south and southwest, including those who had, unbeknownst to them, recently been displaced by the Comanches from their homelands in what is now eastern Colorado and those that might have still been somewhere on the Northern or Central Plains at this point, north of the Comanches. The former are probably the ones that Clark refers to in the section quoted above, and the lack of information on them is probably due to the fact that any ties they had had to the north had been severed by the Comanche advance without the northern groups necessarily knowing what had happened. The latter would probably include the ancestors of the Na’isha, who may or may not already have been affiliated politically with the Kiowas at this point but probably were somewhere in the Northern Plains. Grinnell notes an account of a Na’isha man who claimed to have been born on the Missouri River northeast of the Black Hills around 1810. Thus, I think the most reasonable interpretation of the Padouca question is that the term, meaning “Piercers” in some Siouan language, was used for the Apaches of the Plains by various Siouan-speakers (and others?) living along the Mississippi and Missouri Rivers in the seventeenth century, and was taken over by French explorers at this time. Later French officials in Louisiana continued to use the term for Plains groups without realizing that the Southern Plains had been taken over by Comanches in the mid-eighteenth century, and subsequent French expeditions applied it to the Comanches rather than the Apaches. At the same time, the more southerly Siouan-speakers shifted the referent of the term as well, perhaps under French influence but not necessarily. Further north, where both the French and the Siouans were too far away from the Comanches to encounter them, the term continued to refer to Plains Athapaskans, both the nearby Na’isha and the more distant Apaches about whom the northerners knew little. 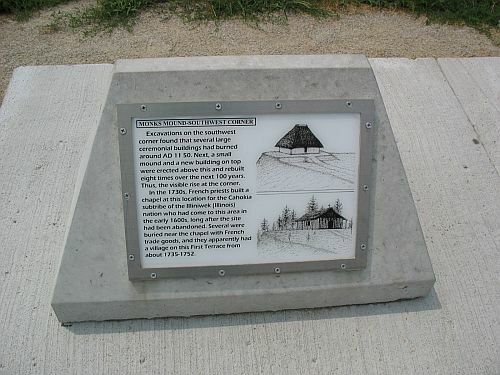 Clark learned about the Padoucas from Upper Missouri groups who didn’t know much about them, and supplemented this information with French written sources which were also not very well informed. From this mix he came up with an idea of the Padoucas as a tribe that had once been numerous and powerful but had been decimated by European contact. Perhaps entranced by this romantic idea, when he acquired a bunch of land many years later and decided to build a town on it he decided to name it after this “lost” tribe. 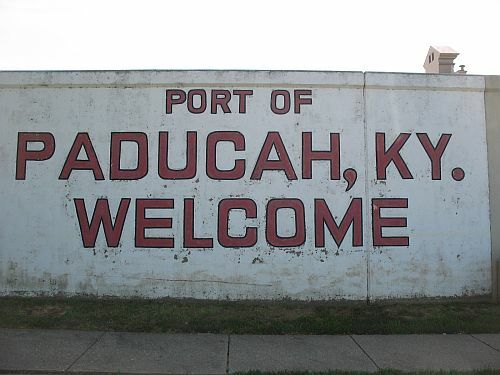 And that’s the story of Paducah. In 1527 an expedition led by the Spanish nobleman Pánfilo de Narváez left Spain with the intention of conquering and colonizing Florida. Accompanying the expedition as treasurer was Álvar Núñez Cabeza de Vaca, who ended up being one of a handful of survivors of the disastrous expedition. Cabeza de Vaca later wrote an account of the expedition and the years it took for him and the other survivors to make their way from Galveston Island, where they had been shipwrecked after a series of disasters in Florida itself, to Culiacán in what is now the state of Sinaloa in western Mexico, where in 1536 they finally encountered other Spaniards who were busy conquering that area. This account has become a classic of the ethnohistoric literature, both because Cabeza de Vaca was an unusually perceptive observer of the various native peoples he encountered during his travels and because very little other information is available about those peoples, whose numbers and cultures were later devastated by permanent European settlement so quickly and thoroughly that few observations about them were published. One of the interesting episodes described by Cabeza de Vaca occurred when the small group of Spaniards arrived at a village where the inhabitants gave one of his companions a large copper bell decorated with a face. When the Spanish, who were always very interested in any metals they could find, asked where it had come from the people told them they had acquired it from a neighboring group and that it had come originally from the north, where there was abundant copper. At the next village the group visited they showed the people the bell, and were told that there was indeed much more copper where it had come from, in the form of both bells and plates, and that there were permanent dwellings in that area. 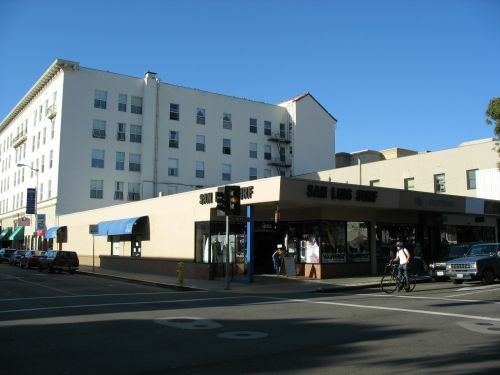 Cabeza de Vaca apparently concluded that the copper had come from the Pacific coast, which was indeed a major area of copper production in Mesoamerica. 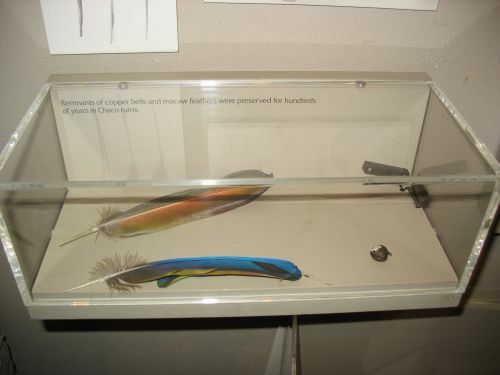 This particular bell, however, and the other copper objects mentioned by the people he spoke to in the villages he visited probably did not come from West Mexico. This episode has been of considerable interest to archaeologists, as copper bells were among the most important items of trade between Mesoamerica, especially West Mexico, and the Greater Southwest. 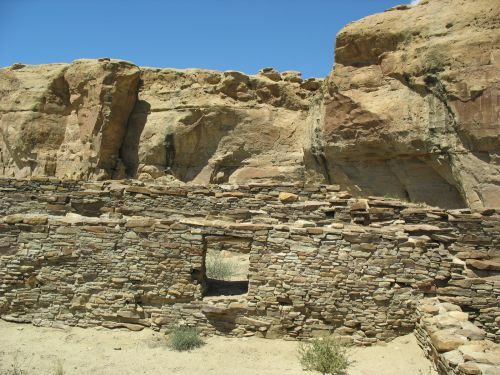 They have been found in considerable numbers at Chaco Canyon, as well as at Hohokam and Sinagua sites in Arizona and various other parts of the Southwest. One archaeologist, Jeremiah Epstein of the University of Texas, published an article in 1991 looking carefully at Cabeza de Vaca’s account and correlating it with known archaeological evidence and other ethnohistorical sources from later Spanish expeditions. He concluded that it the likely source of the bell mentioned by Cabeza de Vaca, as well as other copper objects mentioned by the Ibarra expedition in 1565 and the Rodríguez-Chamuscado expedition in 1581, was the well-known site of Casas Grandes in northern Chihuahua. The exact route of Cabeza de Vaca’s travels has been a matter of considerable debate. Epstein’s article relied on a reconstruction of the route that placed the copper bell episode near the modern city of Monclova, in the state of Coahuila in northeastern Mexico. This is about 500 miles southeast of Casas Grandes, which fits well with the claim that the bell Cabeza de Vaca mentions came from the north. In addition, the Ibarra expedition visited the immediate area of Casas Grandes and reported copper ornaments among the local population there, and the Rodríguez-Chamuscado expedition encountered copper objects among groups in the Rio Grande valley east of Casas Grandes who reported that they came from the west. Epstein concluded from these reports that Casas Grandes is the most likely source for the copper objects of the archaeological sites in the Greater Southwest known to have had large numbers of copper bells. 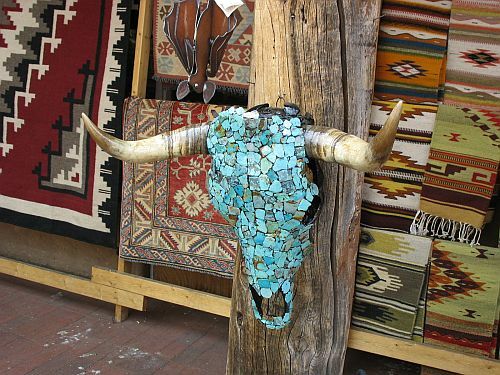 Furthermore, Epstein noted that while many Southwestern archaeological sites had copper bells, very few had bells in decorated with human faces, which Cabeza de Vaca clearly stated to be a characteristic of the bell he described. Casas Grandes did have this type of bell, and it also had a variety of flat copper artifacts that could be plausibly described as the “plates” mentioned by the second village Cabeza de Vaca described. (Interestingly, such “plates” seem to be virtually restricted to Casas Grandes in the Southwest, although copper bells are pretty common. The only possible example of a flat copper artifact like this at another site was found in Room 2 of Pueblo Bonito.) I find his specific reasoning about each line of evidence a bit less solid than he did, but all together I think he was probably right to point to Casas Grandes as the most likely source for the copper artifacts described by the sixteenth-century Spanish sources. The most interesting thing about this, as Epstein noted in his article, is that Casas Grandes had been abandoned for about a century when Cabeza de Vaca came through the area and saw the bell that apparently came from there. When it was occupied, Casas Grandes was one of the largest and most important sites in the whole region, and excavations there have shown that it was a major center for a variety of Mesoamerican-derived activities, including macaw breeding and copper working. The bells and other copper artifacts found there were apparently made there, in contrast to those found at Chaco, which was occupied significantly earlier and imported its copper bells from West Mexico, which at that time was the only part of Mesoamerica to practice copper working. By the late Postclassic period, however, when Casas Grandes flourished, copper metallurgy had become a standard practice at major centers throughout the Mesoamerican culture area. In the sixteenth century, however, Casas Grandes was very clearly no longer occupied. The Ibarra expedition, which came through the area in 1565, found the site already a ruin, and the only local people were hunter-gatherers living in simple, impermanent dwellings quite different from the imposing multi-story adobe edifices at Casas Grandes. These hunter-gatherers, however, did have some copper “plates” which parallel the ones reported by Cabeza de Vaca’s sources. The expedition also noted evidence of metalworking at the ruins of Casas Grandes, but did not mention any evidence that the current inhabitants had made their copper plates themselves. So how did the hunter-gatherers who lived around Casas Grandes in 1565 get their copper plates, and how did the people in Coahuila in the 1530s and the people living along the Rio Grande in 1581 get their copper bells? Epstein’s answer, which I find quite convincing, is that the local hunter-gatherers dug into the ruins to get the copper artifacts in them, then traded them to various other groups in northern Mexico. That is to say, they “looted” the site for economic gain much the way modern pothunters in the Southwest and elsewhere do. Indeed, according to Epstein, the extensive excavations at Casas Grandes conducted by Charles Di Peso for the Amerind Foundation in the 1970s uncovered “evidence of Precolumbian vandalism” (in Epstein’s words) in some areas of the site. 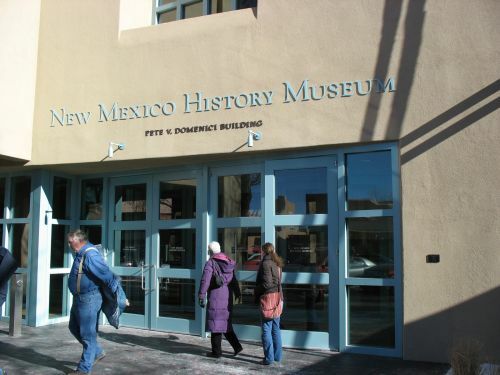 So it seems looting of archaeological sites has a long history in the Southwest. What I find most interesting about this is the parallel to the situation in modern cities, which now contain such huge amounts of certain materials, especially copper, that they are becoming a major source for materials that have traditionally been mined from nonrenewable natural deposits such as those that spurred the settlement of Western mining towns like Jerome, Arizona. John Fernandez of MIT discusses this issue, drawing on the work of Tom Graedel at Yale, in this video from 2007 (starting at about 21:29). Fernandez quotes Jane Jacobs as saying that “our cities are the mines of the future.” And, at least as Fernandez presents it, that does indeed seem like a prescient statement. Epstein’s article, however, demonstrates that digging for copper in abandoned homes is hardly a new phenomenon. Like so much else that humans do today, it has a very long history. The cities of today may be the mines of the future, but the cities of yesterday have already become the mines of the past.